Tahlia is an outstanding example of the ASB with a colour very rarely seen in the breed. 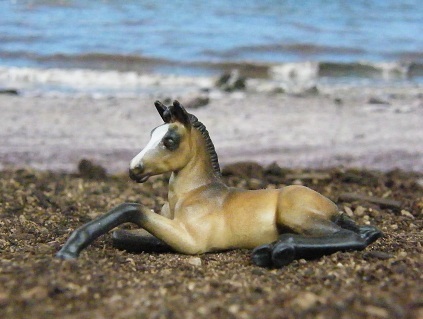 Tahlia is sired by Beau Decision, an extreme sabino overo medicine hat Saddlebred stallion. He is a grandson of More To Go. Through Clever Decision, Beau Decision carries a line to the influential sires Starheart Stonewall and Private Contract. Tahlia is out of our own Genius' Hot Breeze, a daughter of the tobiano stallion Hot August Nite, the sire and grandsire of several successful show horses. He is a grandson of the World Grand Champion Valley View Supreme, and through his cam Dahlia Desdemona Denmark he carries a line to Yorktown, a son of the WGC Wing Commander. Tahlia's second dam is Tomorrow's Breeze, through whom the roan gene is passed on. Her lines include Genius Bourbon King, Kalarama Rex and Anacacho Denmark. Available for breeding to all American Saddlebred, NSH and Arabian stallions. Please check open foaling years below. Harlem's Kovergirl is a daughter of our own foundation stallion Harlem Supreme. He is a grandson of Night Of Folly, sire of many champions. Night Of Folly himself is a son of the great Society Rex, a two-time World Champion. Harlem Supreme's paternal dam Empress Wing is a daughter of Wing Commander, one of the great sires within the breed and a 6-time World Champion himself. Harlem Supreme is out of Manhattan Supreme, who has produced multiple model champions. She is a granddaughter of the five-gaited World Champion Yorktown. Manhattan Supreme is out of the BHF mare Putting On Airs. The same cross of New Yorker and Putting On Airs also produced the WC Harlem Globetrotter. Further lines through Harlem Supreme include American Born, Private Contract and Stonewall King. Harlem's Kovergirl is out of another corner stone of our Saddlebred breeding program - La La Land. She is a daughter of Kourageous Kalu, a reserve WGC in fine harness. He is a noted broodmare sire. and frequently ranked among the top ten on the Leading Sire lists. Kalu's dam sire was Captain Courageous, a stallion much desired in pedigrees. La La Land's dam was the great mare La La Success, who won WGC in fine harness and was inducted in the Broodmare Hall of Fame. 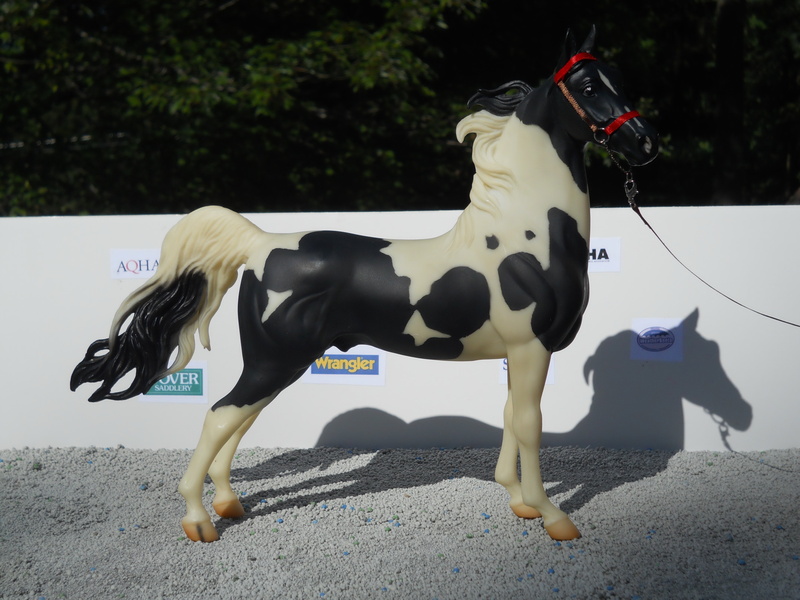 Her pedigree includes Kalarama Colonel, Anacacho Shamrock and American Ace, as well as Starheart Stonewall. La La Land carries no lines to Wing Commander or Valley View Supreme. This means that Harlem's Kovergirl carries only two lines to Wing Commander, and no lines at all to Valley View Supreme - she makes a great outcross for stallions that carry multiple crosses to Wing Commander and Valley View Supreme. Available for breeding to all American Saddlebred stallions. Other breeds considered upon request. Please check open foaling years below. Beautiful tall mare with a refined head and lovely bloodlines. Estelwen was sired by the 2009 NAN Champion Midnight In Harlem, a son of the three times World Champion in halter and fine harness, CH Great Day's Came The Son. Great Day's Came The Son's sire was the World Champion Sultan's Great Day. His dam Gay Nora was inducted in the Broodmare Hall Of Fame. Midnight In Harlem's dam was CH Harlem's Strong Will, a two time World Champion daughter of Harlem Globetrotter, who was a multi World Champion and a very influential sire. Estelwen's dam, Fleet's Golden Magic, has beautiful old model lines that go back for more than 50 years! Estelwen is model bred for 5 generations on her dam tail line. Her pedigree traces back to real horses in every line. Available for breeding to all American Saddlebred and Arabian stallions. 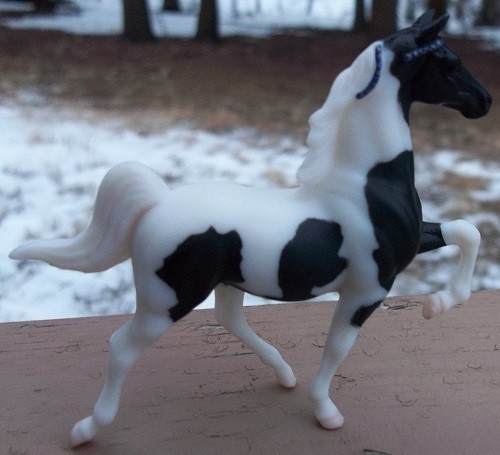 2005, 15.3 hh American Saddlebred mare (stock image until model arrives). Commanding Lady is a beautiful blend of some of our favourite bloodlines. She is model bred for three generations on her sire line! Commanding Lady's sire is one of our own stallions, Erythreos. He is by Key Commander, who sired several successful show horses, and out of the champion mare Kalarama Fairy. Erythreos carries more than 15 crosses to Bourbon King! Commanding Lady is out of the very successful show mare Neverending Story, a granddaughter of Superior's Successor, a Champion Five-Gaited stallion. Neverending Story's paternal dam Sky Wing produced several champions and title holders. Commanding Lady's second dam, Redgum Lady, foaled many champions and good performances horses as well. She is by Supreme Heir, a KSF stakes winning son of the incomparable Supreme Sultan, sire of many World Champions in all divisions, and out of Supreme Airs, a World Grand Champion and Broodmare Hall Of Famer. Redgum Lady's dam, A Lady's Touch, is a daughter of Attache, who is a grandson of the WGC Wing Commander. Further lines include Anacacho Denmark, King's Genius, Kalarama Rex and Stonewall King. Sired by the Reserve WGC in fine harness Kourageous Kalu, and out of the WGC fine harness & Broodmare Hall Of Fame mare La La Success. Lines include Starheart Stonewall, Kalarama Colonel, Rex Peavine and many other great sires and dams. La La Land carries no lines to Wing Commander, Valley View Supreme or American Born. Beautiful outcross material for stallions that do carry these lines! Available for breeding to all Saddlebred stallions. Other breeds considered upon request. Very nice pedigree with Kalarama Rex and Genius Bourbon King up close! Carries lines to On The Go and Starheart Stonewall too.